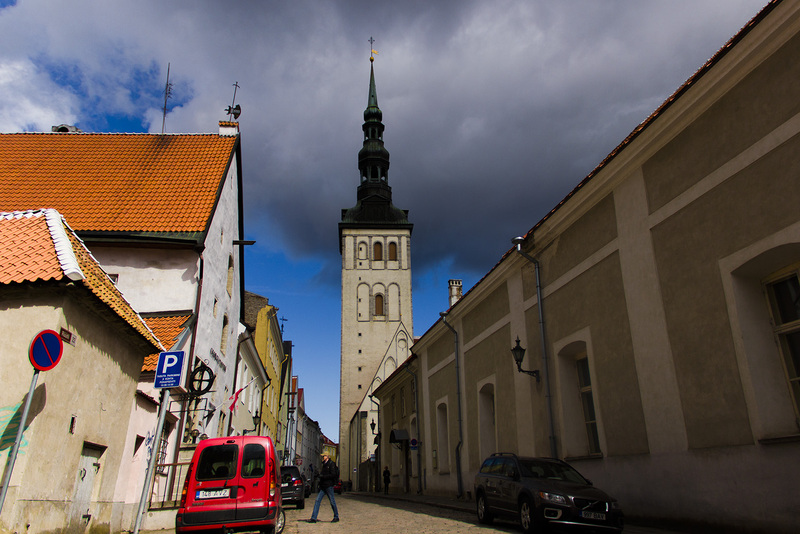 This post is about the honesty of Estonians and dedicated to all honest people in this World. It was 2 AM (Estonian Time) when suddenly I realized no money is in my pocket and my travel card is also missing!!! It was 28th April, 2018. 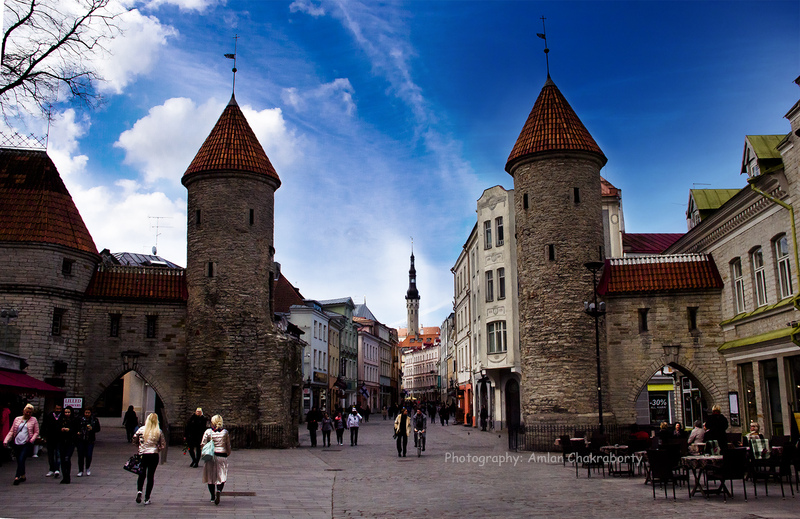 I reached Estonia that morning and checked in to Knight’s House hostel. My choice behind this hostel was not just because I wanted to stay inside a UNESCO World Heritage Site but also to stroll Old Town of Tallinn till Sunset. After checking in I visited to nearby Jagla Waterfalls which is only 35 kilometres away from Tallinn and in the entire route, local Estonians helped me a lot to get busses and with valuable suggestions. It was a wonderful day trip. I will definitely write about them in some other post. Everybody knows that by nature Estonians are honest and more over they are trying to prove (they have already proven) that Estonia is better after coming out of the red eyes of Soviet Era. There was no question of theft. This was the reason behind choosing Estonia. I got deputed to Sweden by my organization Tata Consultancy ervices. After a very busy month when the long weekend came and I planned for Estonia for the first solo trip outside of India because of the safety. But it was 2AM night and I found myself as penny less. Being late at night is not my cup of tea during any travel, rather in any tour I follow the common advise “Early to bed and early rise”. The soft light of morning helps me to get photographs. Though I am a late riser by nature but that is only in my home town Kolkata. Secondly, boozing during any travel is the habit that I hate like anything as it causes the wastage of time, money and deviation from the itinerary. But I wanted to get the flavour of the great Pub crawling arranged by the hostel Monk’s Bunk (a sister hostel of Knight House) and it is a part of Tallinn’s enjoyable part. In fact next day I did not have any plan to get up before 8 AM as both iWeather and Accu Weather had forecasted about the cloudy weather. Hence Pub crawling was the last minute’s addition in my itinerary. “Where have all my money gone” my mind started thinking. It was a nice day as I got some good frames in Jagla Waterfalls and the entire afternoon when I was walking down the lane-bi lanes of the old mediaeval city, taking one after another frames I felt like blessed even the pub crawling was so happening!!! It started with a glass of beer in Monk’s Bunk. Other members drank 4-5 glasses and cocktails shots. Then the crawlers were guided to two other pubs and had more drinks. Lots of events were there. I found others playing and drinking. I was happy with one glass of beer. I met a chez girl Veronica and after some chit chatting I became her “Archie”. At last people really started “crawling” and finally reached to the night club. Veronica and I danced together and had another beer. We shared some wonderful time. At 2AM I waved her good bye and left the club as I did not want to waste the entire next day. Veronica was still there. “It must be there in any pocket!!! Oh my God!! !” I started searching. My jacket had 8 pockets and can carry almost all the required documents, money, cigarettes, lighter, chewing gums, chocolates, a plastic zipped pouch (to store the waste, plastic cover of cigarette packet, wrappers of chocolates). Only for this reason this jacket gets placed in my packing list. All the pockets except the inside one are zipped and I kept two 50 Euro notes and my travel card there. Usually I keep money by spreading them in all of my bags, secret pockets of my trouser and jacket but It was my first stay in Hostel so I carried all money as I was not that much confident about the security as the hostel contains some suspicious co border who looked like a narcotic addicted. I came back to the pub where I deposited my jacket, as you know that in Europe, you need not have jacket when you are in any closed area. Usually jackets are deposited to the security guard and tagged with a coupon. This rule is applied to offices, schools, colleges, restaurants, pubs and all other institutes. So I went to the pub and cross checked with the security guards. Till that time I possessed the thought that nobody theft it, it might get fallen from the unzipped pocket and only my casual attitude is responsible for the misplacement. Trust me, I asked them, “Please check whether it is misplaced or not”. Obviously he could not found and I realized the meaning of disaster!!! I came back to the hostel and told the hostel manager come receptionist guy about my condition. He took a prompt action and informed the police. Again he asked me to calm down and check all of my pockets. Even this incident was unexpected to him also. After another round of unsuccessful search he asked me to write a mail to police. Obviously I followed him. Suddenly a thought came to my mind and shattered me like anything. My booking was not done for the next day as Knight’s House did not have cot for the next day, I was arranged to get boarded to its another hostel. But I did only pencil booking there. Then? How to survive the next day? Some changes was there in a my camera bag. Accumulating the changes it became only 8 Euros. Calculations got started in my mind. The bed tarrif of the next hostel was 12 Euros. At leat 20 Euros are needed for my food. Knight House would give me free breakfast, if I opt for brunch then I can save up to 10 Euros and I have some dry food for the evening. That means by hook or crook dinner will be done within 12 Euros. So I needed a total option of 20 Euros but I had only 8. It is sufficient for Mc Donalds. By that time it was 3 AM and the receptionist guy informed that local police station were out of resource to serve me as it was week end night so nothing could be done before next morning. “Oh great!! !” came out of my mouth and I disclosed my condition to him. He was not in a position to help me but he assured that in these situations local police would contact Indian embassy and they would help me to go back to India but I was from Sweden. How could I join to my office after the vacation!!! The manager asked me to sleep and wait for the next morning but how could I close my eyes???!!!! But I went to bed but could not sleep. “Now I realize the meaning of penny less” I murmured after another round of unsuccessful search. Oh God!!! Save me please!!!! I am secular but not atheist. Though I was an agnostic till the mid-twenties but after that some incidents of my life proved for the presence of God. In some professional and personal crisis, I prayed to the Goddess (as many Bengalis, my family is a believer of Goddess Kali) and surprisingly I got rid off those extreme problems. Again my entire family is secular and we take part in the festivals of other religion like Eid, Christmas as my entire family is communist. When I found no hope to get my money back I started praying. I asked for the help of her super power to get rescued. In fact, I am sure, even the most atheist person would do the same thing. I kept praying and praying. I cannot remember whether I got slept or not. Probably I felt asleep. I forgot to pull the curtain next to my window and thus woke up as it was morning at 5 AM. I went to wash room and smoked a cigarette in the smoking zone, came back to the bed and again started searching. Suddenly I felt somebody’s direction to a secret pocket of my jacket. I never used this pocket as it is located in an odd portion of my jacket. I touched the pocket and it seemed like something was there inside it. I opened the zip, inserted my fingers and pulled everything. “Here it is!!! Ohhhhh Thanks god!!!!!! I bow down to you” was my first expression. I realized everything. When I deposited my jacket to the security guard, he noticed me to keep something inside that pocket. Since it was an open pocket the responsible security guard thought of the probability of misplacement and thus he took all the valuables from that pocket and put inside the pocket in unusual location because only that pocket was empty. Kudos to the intelligence, honesty and thoughtfulness of the security guard. God bless him. Love you, Estonia. Next Lucknow Travel Guide for a "Two day trip"